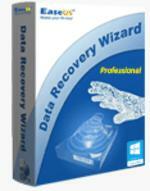 EaseUS Data Recovery Wizard, the most powerful and complete data recovery software, applies to any data loss situations: the hard drive’s partition table, boot record, FAT/MFT or root directory are lost or damaged, data was lost due to a virus attack, the drive was formatted, a power failure has caused a system crash, files were lost due to a software failure, files were accidentally deleted. No prior recovery skills are needed to perform data recovery. – Deleting files by skipping your Recycle Bin or pressing ‘Shift + Del’. – Files loss due to emptying Recycle Bin. – File recovery after accidental format, even if you have reinstalled Windows. – Disk displays as RAW or Windows asks you “Do you want to format this drive?”. – Disk recovery after a hard disk or system crash. – Recover accidentally deleted partitions. – Restore partition loss due to repartition, boot manager, etc. – Data loss due to turn off the storage media during the writing process. – “media card error”: A Media Card has been inserted that contains errors. – Card Not Initialized or Card cannot be Read. – Memory card is locked, you cannot access it or open it. – “access denied”, when SD card is corrupted. – Improper partition or partition error. – Virus attack or unexpected power failure.